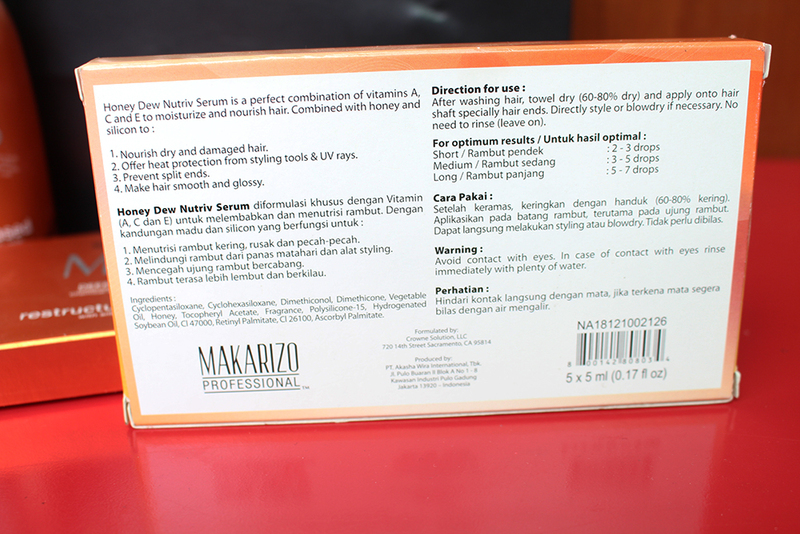 Continuing from my previous post, I also got tons of treatment products from Makarizo. 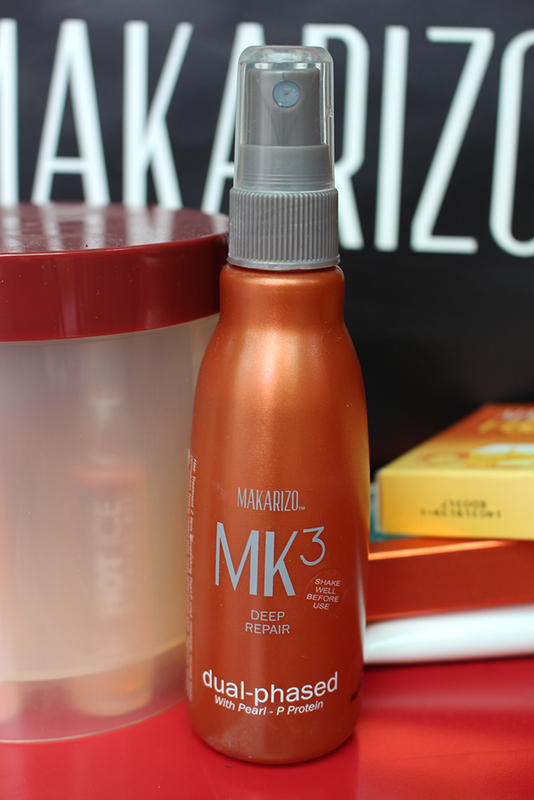 As far as I know, Makarizo had a wide range of hair care products so you can choose the suitable product for your hair condition. 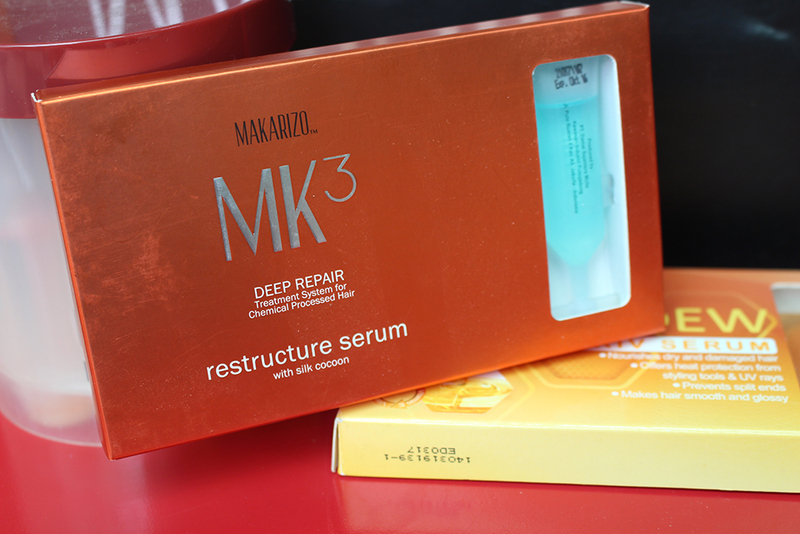 These products are selected by Makarizo team to maintain my hair after coloring process. 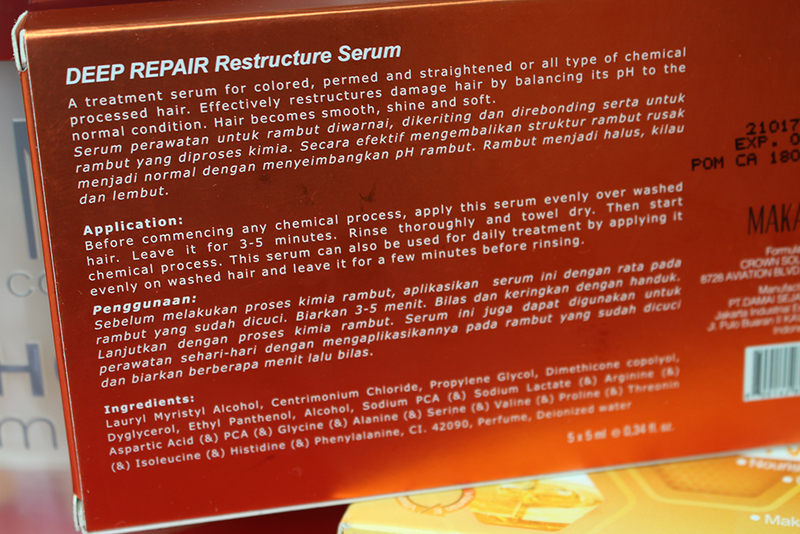 This is a treatment serum for hair after chemical process. It also can be used to prep our hair before going under chemical process. 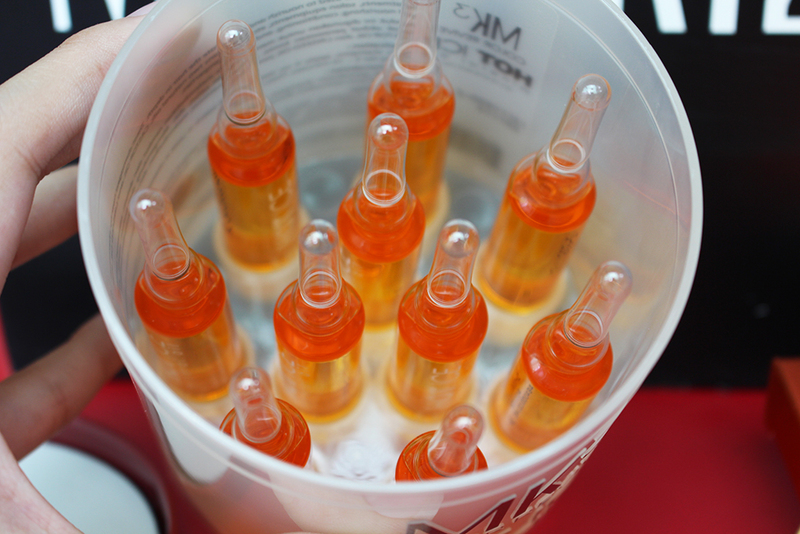 Each box contains 5 bottle. I use one for every usage. 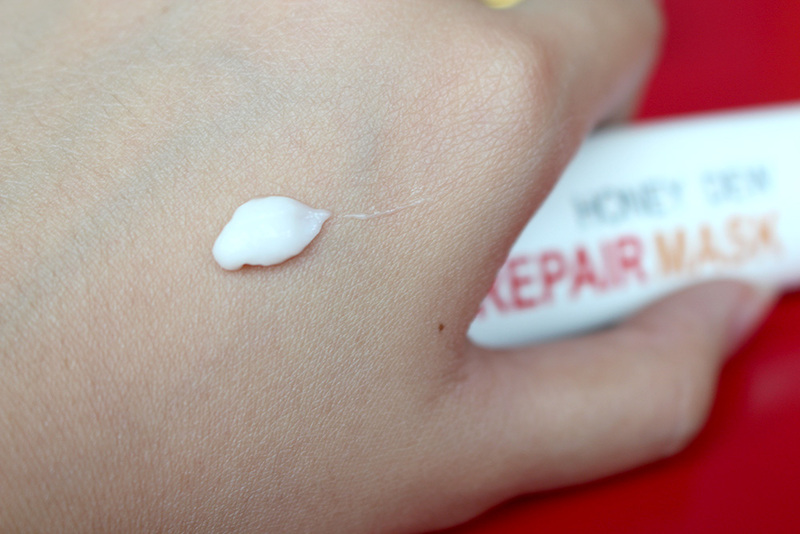 It has a runny texture like water and feels a little bit warm when being applied. 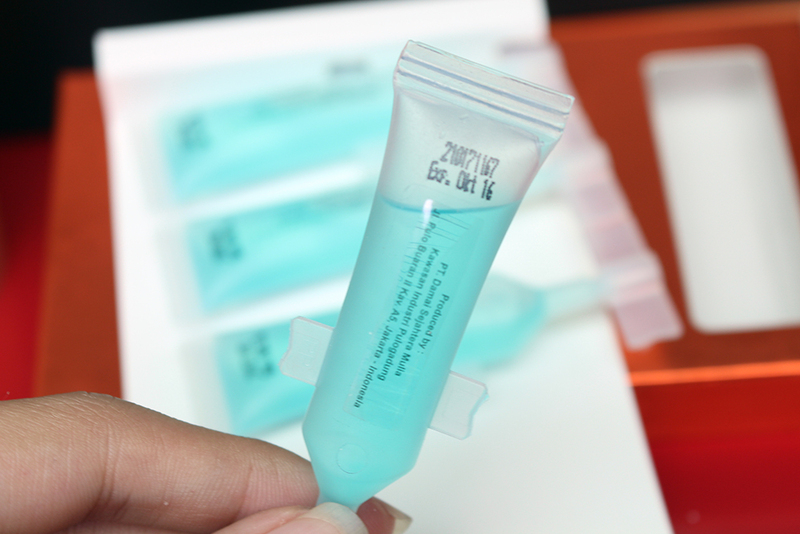 Apply this serum evenly over washed hair and leave it for 3-5 minutes. Rinse throughly and you can apply conditioner afterwards. 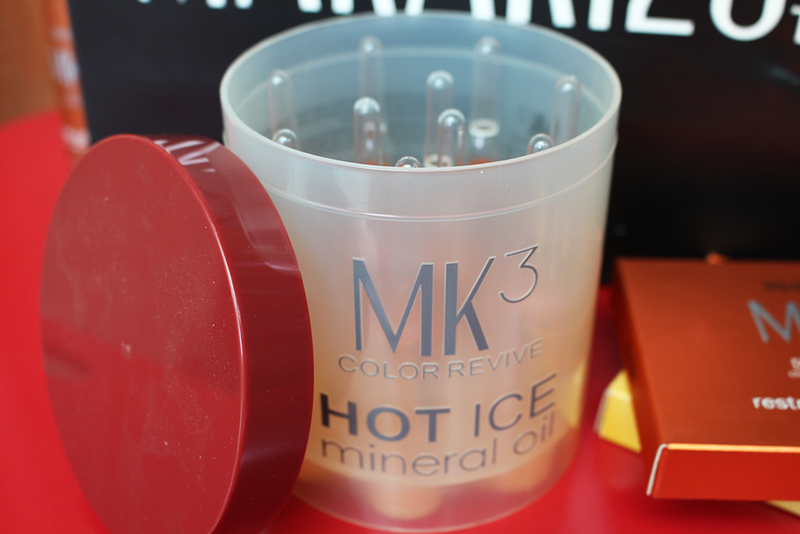 One of unique products from Makarizo, Hot Ice Mineral Oil. I've reviewed it before here, so I will skip into the next product. This hair mask have a really sweet name and make my appetite goes wild. 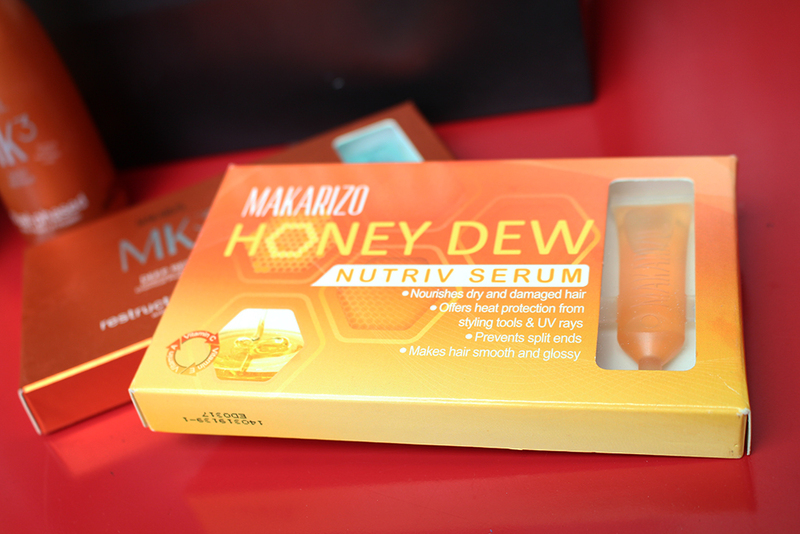 Apparently it will fulfill my hair needs of nutrition and vitamin with honey extract. 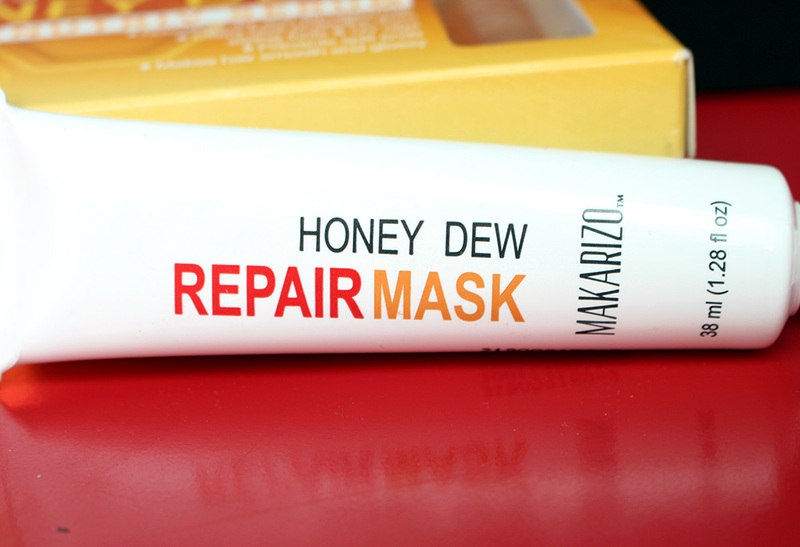 It is a hair repairing mask that will help to repair your skin texture and create a silky smooth hair afterwards. It does smell like honey and really sweet. The texture is similar with other hair mask in common. Apply hair mask after washing your hair and leave it for 10-15 minutes. You can wrap your hair with warm towel to help your hair absorb the nutrients. Rinse throughly afterward. This serum helps to nourish your hair and gives more protection from styling tools or UV rays. 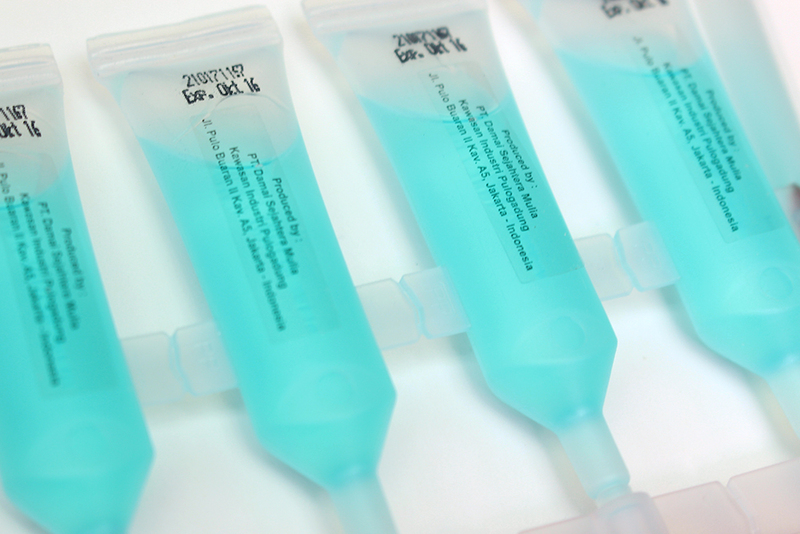 Each box contains 5 bottle and each bottle can be up to 3 - 4 times usage for me. It may vary depends on your hair length. For optimum results of usage, here's a proper recommended amount of product. However, you can still adjust the amount according to your hair condition. 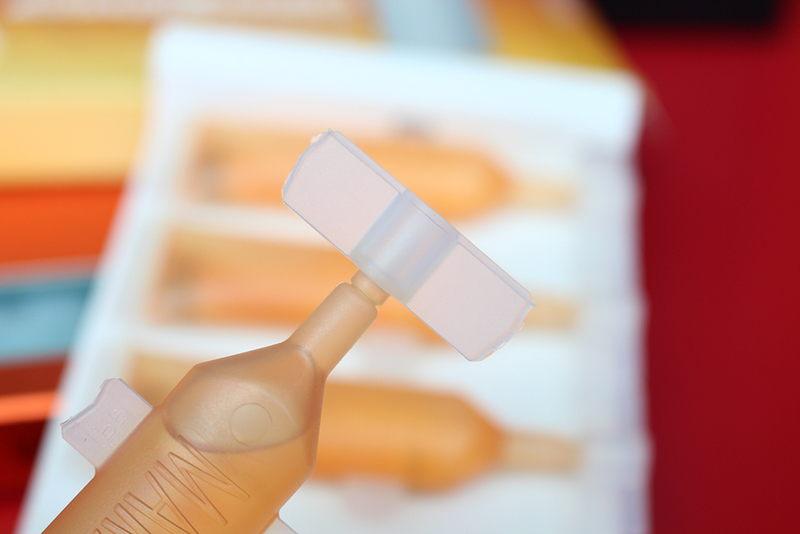 Twist the cap off and you can save the remaining products by reverse the cap. 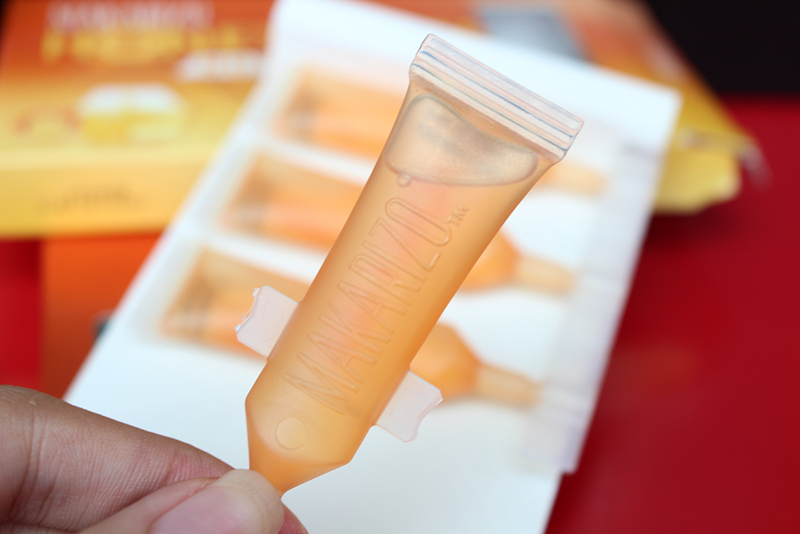 It is designed to secure the remaining products after being opened. This is a hair vitamin in spray type. It could be applied as hair mist in the same time. I usually spray it on my hair before I go out. The advantage of this products among the others is because it comes in spray, so it feels lighter and not sticky at all. You can apply it several times without worry about sticky hair. It could help to eliminate unpleasant smells on your hair too hehehe. This shot was taken two months after coloring. You can see that I still have the gorgeous red shade under natural light. It looks more into brown shade under indoor lighting. 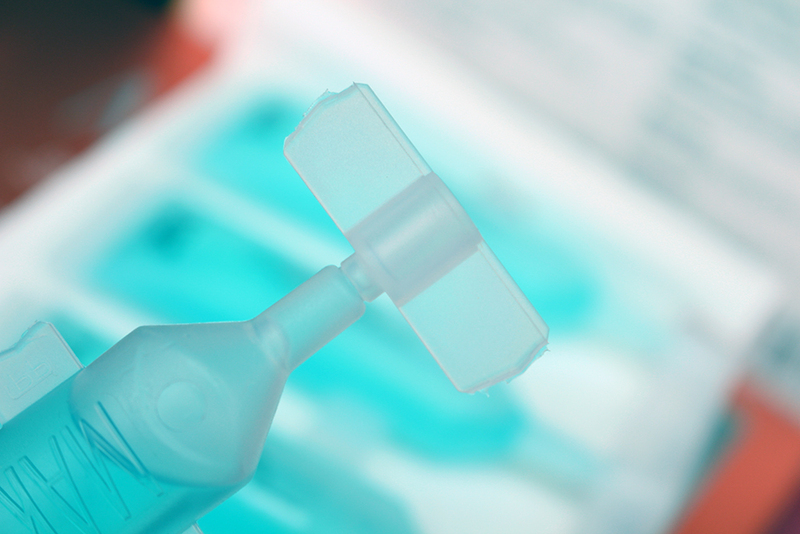 Some of you might wondering there are so many products and which one you should use first. Basically, I use the hair mask, restructure serum, and hot ice mineral oil alternately in a week. As for the nutritive serum, hair cream, and hair mask, I use it depends on hair condition. You don't have to use them all but you can mixed the products to take care your hair.